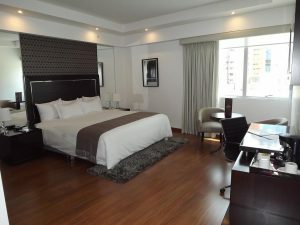 Centrally Located in the Bustling District of Miraflores, the Jose Antonio Deluxe is a Stylish Hotel in the Heart of Lima. 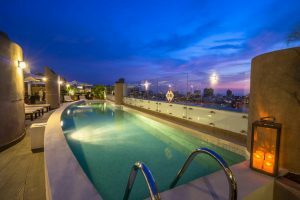 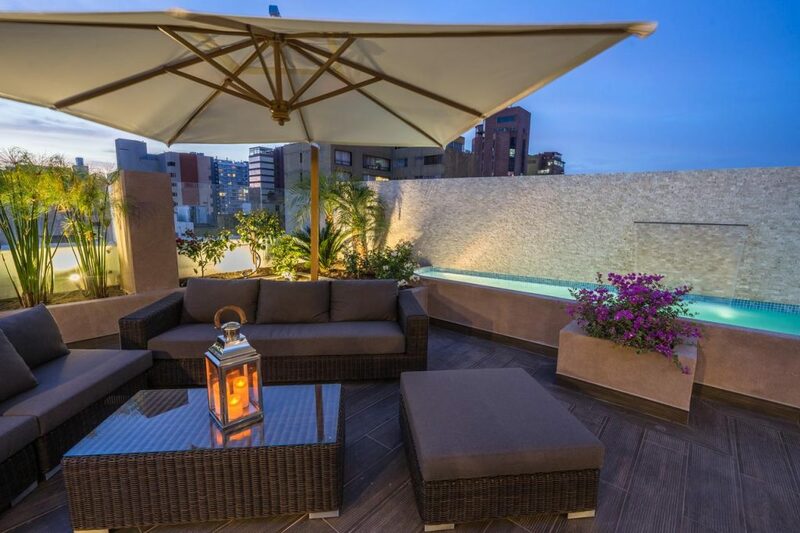 Jose Antonio Deluxe is ideally located in the heart of Miraflores, a district of Lima famous for upscale residences, fashionable shops, cafés, parks, night clubs and fine restaurants. 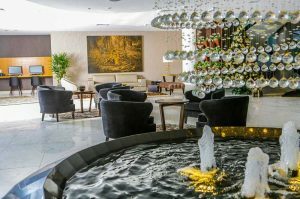 The hotel is also just a short walk from Larcomar, a major shopping and entertainment complex. 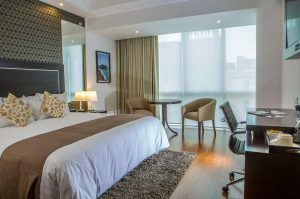 Relax in one of the 166 guest rooms, each equipped with air-conditioning, a flat screen TV, Wifi connection and mini-bar. 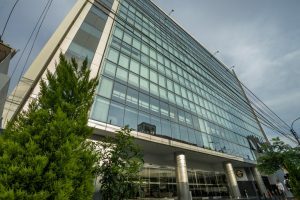 Dine at the hotel’s restaurant on the ninth floor or sip a cold Peruvian Pisco Sour cocktail by the bar after a day of sightseeing in Miraflores.